The first foray into the Valiant Universe for C3G has begun, with Peter Stanchek kicking it off. I thought now would be a good time to create a place to build out for this universe. This would be a place to discuss both designs and potential minis, as heroclix has yet to branch out to this awesome universe. Things will be compiled here in this post as discussion happens. Obviously these all have multiple characters within that could be cool additions! And these are just modern Valiant, nothing says we can't venture back to the days of Psi Lords and Turok. Last edited by LordVenoc; April 15th, 2019 at 09:26 PM. I forgot Turok was a Valiant/Acclaim property! I loved the original N64 game way back in the day, and I think it's just a cool character. With all the Dinos Tornado has planned out, it would be cool to have a Dino Hunter to fight them. I would be interested in exploring Turok. Once I get a few more Dinos out there, it would be fun to add in a Hunter. I've got dibs on Manowar... once I figure something out for him. Have a very general idea for Bloodshot I might turn into something more workable. And man, Divinity would be cool, no idea how to bring in him but I dig it. 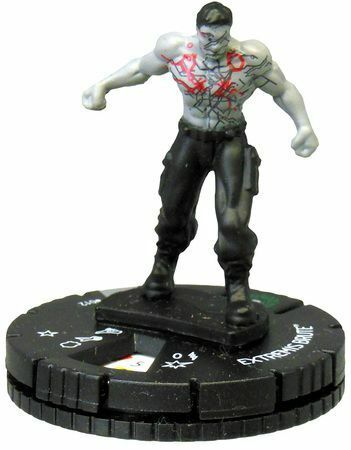 One hope I have is that we get official minis when the Bloodshot movie comes out in like... a year and a half. Fingers crossed! Turok is the original. He is now owned by Dynamite alongside the other Gold Key Properties Solar and Magnus. Savage is basically a revamped and altered Turok for the new Valiant. I think both could be cool and differentiated designs that could be extra fun with all the dinos and animals running around. Divinity would be an Event hero I'd imagine. Well, given I intend to push for Event hero if/when we get to Harada, Divinity definitely would be. Think we could repaint an Iron Man? I know its not an exact match, but I'd bet one figure form his universe could be real real close. Bloodshot is definitely cool. Plus whatever mini we do end up using there could probably also be a base for Rai. Just a random thing I noticed today. The second volume of Generation Zero Trade is titled "Heroscape"
Oh yeah! I remember that arc. I wasn't a huge fan of the direction taken with the Gen Zero kids in their solo. Which was a shame, because Cronus is one of my favorite Psiots. Start the game with only one Timewalker on the battlefield. Instead taking a turn with a Timewalker you control, if you control at least one Timewalker not on the battlefield, you may place it on an empty space within 6 clear sight spaces of this Timewalker and take take a turn with that figure. After taking a turn with Time Arc Mastery, you may place any other Timewalker you control on its card. Figures removed in this way will not take any leaving engagement attacks. Once per game, when placing a Timewalker with Time Arc mastery, you may select one previously destroyed Hero in your army. Place or remove Wound Markers until the Hero has up to 2 Life remaining, then place it on an empty space adjacent to the placed Timewalker. After taking a turn with that Timewalker, you may take an immediate turn with the destroyed figure, and you may not take additional turns with any other figures. You would have to create another Timewalker first to be able to test this one. Be careful with Adventurer as the F4 will drive up their cost. I don't think he'll need another Timewalker. He's Uncommon, so similar to Kang. I like this! as much as like Time Travel characters, I've always struggled with translating Time Travel itself to gameplay. This looks like a lot of fun. He's uncommon. The idea is to be able to draft multiple of him for the multiple iterations that could appear of him across the timestream. Forgot Fantastic wasn't limited to Unique. Could probably find a different class to suit him.